The end is near. Today, Target confirmed that liquidation sales at its Canadian stores start on Thursday. Sales will begin with discounts of up to 30 per cent. The end is near. Target has confirmed that liquidation sales at all its Canadian stores start Thursday. The company told CBC News stores will be offering up to a 30 per cent discount on merchandise. CBC News reported Monday that internal company emails showed the company was prepping staff for big liquidation sales and big crowds on Thursday. But Target would not confirm the start date until today. U.S.-based Target announced last month that it was closing its 133 Canadian stores and laying off about 17,600 employees. Target Canada had been hemorrhaging money and is now undergoing a court supervised wind-down. This afternoon, the company got court approval for a group of liquidation companies to sell off all merchandise including store fixtures. 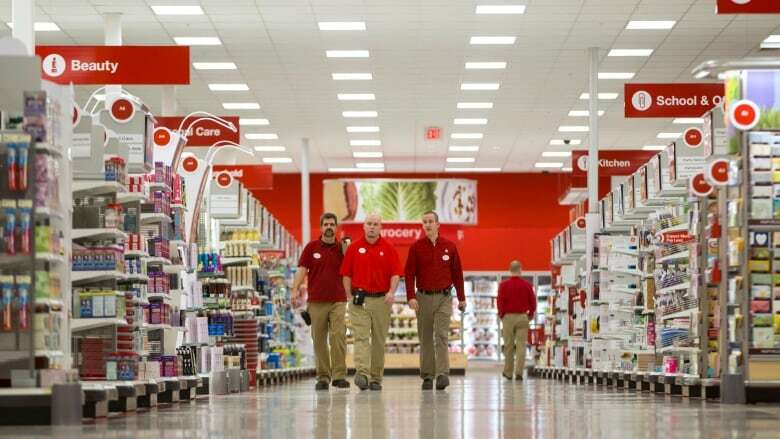 According to company memos, liquidators have already started making arrangements at Target Canada stores and "will be 100 per cent responsible for all decisions on pricing, merchandising, etc." Liquidation sales are expected to run from seven to eight weeks on average. Shoppers hoping for hints of what's to come probably won't find evidence in stores today. According to emails, sale signs will be posted tonight after closing time. A Target Canada manager we are calling David told CBC News that his store received a package of discount signage yesterday. He asked that we not use his real name because he fears repercussions. David said the placards are individually marked with a "big 80 per cent [off], 60 per cent, 50 per cent, just generic percentage-off signs." He has no idea yet which sign will go where. "My understanding is, when they tell us to put up one price, we'll put up that price, and then after that we'll put up a different price." David believes merchandise will be discounted by five to 30 per cent in all stores the first week. He said all markdowns at this point will be company-wide. But the selection may vary. According to an internal company email, 36 Target Canada stores have stopped receiving merchandise shipments, while others are still being bombarded with extra product. David said he has both an overnight team and one starting at 4 a.m. on Thursday, tasked with plastering the discount signs throughout the store. He worries about having enough staff to handle the liquidation sales. Target Canada emails show the company is struggling with a spike in absentee workers as stores wind down operations. David said 10 per cent of his team has already defected: "I've got some people that have pretty much opted out." Earlier this week, close to half the staff didn't show up for a shift. "The biggest thing is just the number of staff that's available to work all these crazy hours that we have going on. It's just going to be really tough." Employees aren't the only ones dealing with frustrations during Target Canada's final days. The closure is creating a crisis for independent pharmacies operating in the stores by not giving them enough time to relocate and make the best decisions for their patients, said the president of the Pharmacy Franchisee Association of Canada. The Ontario Pharmacists College must receive an application for certificate of accreditation at least 45 days prior to the proposed opening date of a pharmacy. Stavros Gavrilidis, the pharmacist at a Target store in Windsor, Ont., said Target gave notice on Jan. 26 that he would have until May to relocate. But since then, he said he has received a disclaimer from Target saying that he will now have 30 days to relocate. "There's not enough time — it's not realistic," Gavrilidis said. "We're in a situation where the patient relationship with the pharmacist has been undermined."